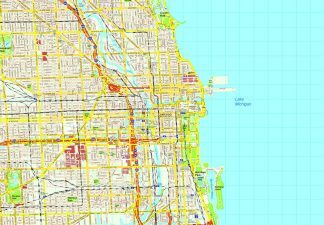 Chicago vector maps. Eps files from the city of the north of the United States. To edit the maps, you will need a vector editing program such as Adobe Illustrator®. 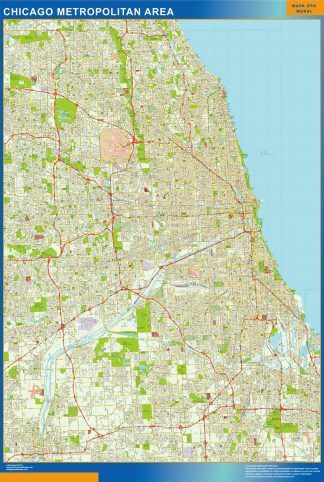 Our maps are ready to use, and give you the flexibility to easily modify the appearance of the map to meet a wide variety of design specifications for any project – print, web, multi-media, and broadcast. 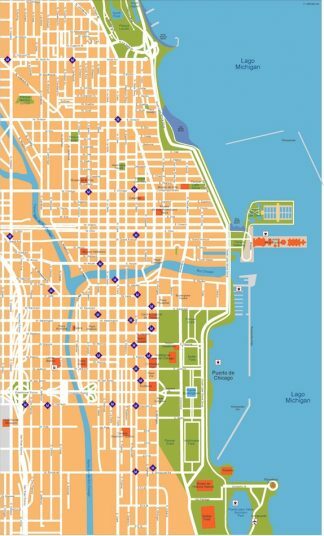 If you need a printed option, you can also find some wall maps of Chicago.